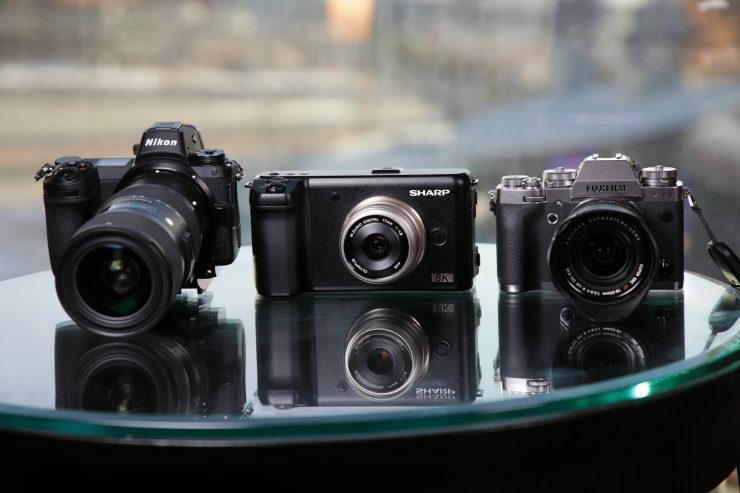 Sharp caught everyone by surprise when they announced that they were developing an 8K Micro Four Thirds Camera. 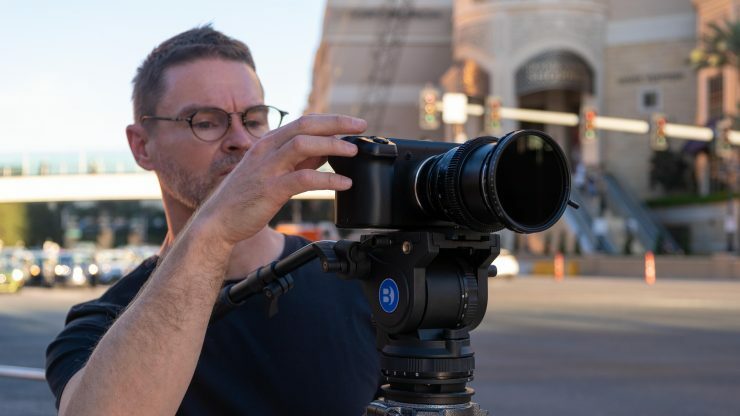 This is the world’s first prosumer 8K camera. 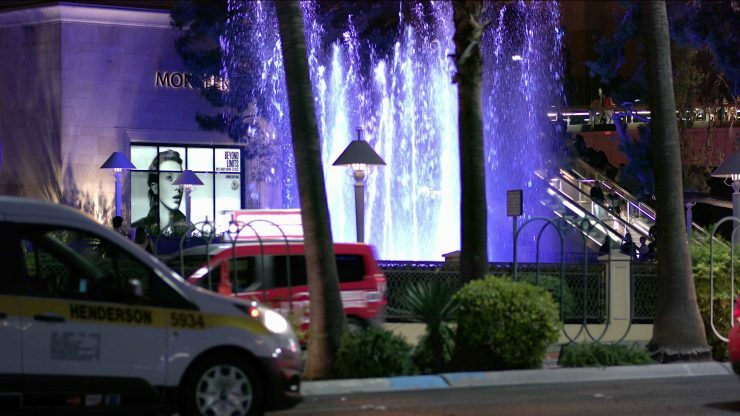 Here at Newsshooter we have been lucky enough to take the camera out and shoot with it. Now, before you get too excited, this is a very early working prototype and this is not a review of the camera. This is more of a first look so we can see what direction the camera is heading in and what you should expect once it becomes available. To their credit, Sharp were very honest with us about what we should expect from the camera. They also gave us a full breakdown about what is currently working, what isn’t, and what will eventually be included in the camera. 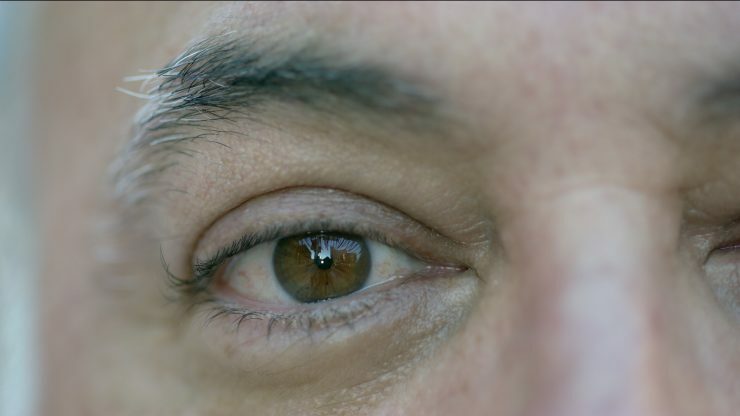 The footage below was shot using a Sigma 18-35 f/1.8 and a Zeiss ZF 100m f/2 macro. 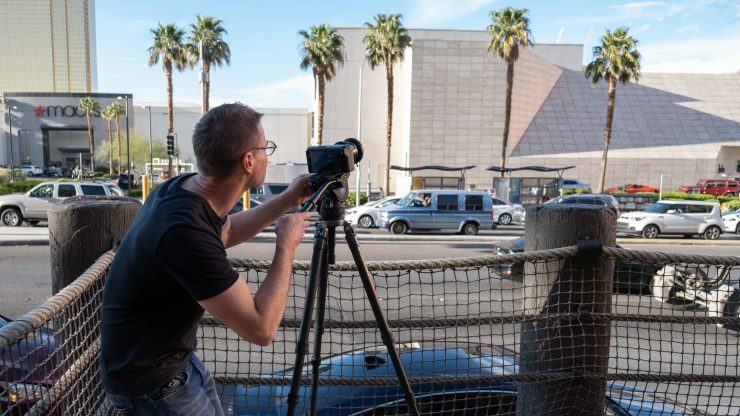 Erik first saw the camera at CES 2019 in Las Vegas and below you can see our report and interview with Sharp about the camera. 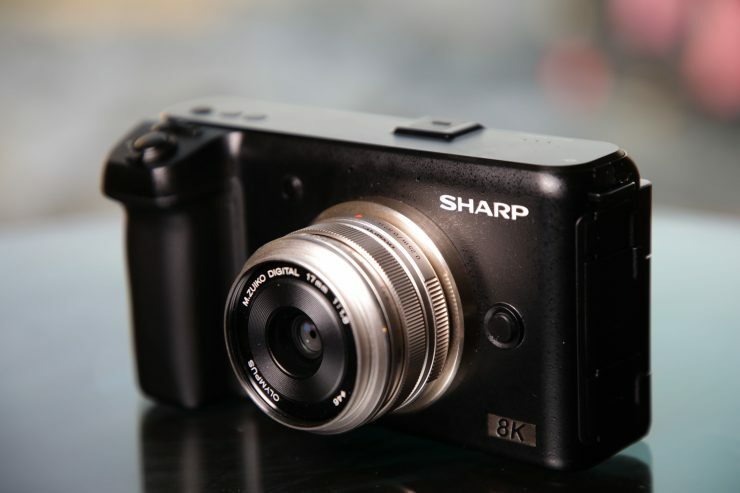 The camera is not just a concept, and Sharp is expected to officially announce the camera later this year. Please bear in mind that this camera is still in its very early stages of development and a lot of the functionality of the camera is not yet working. 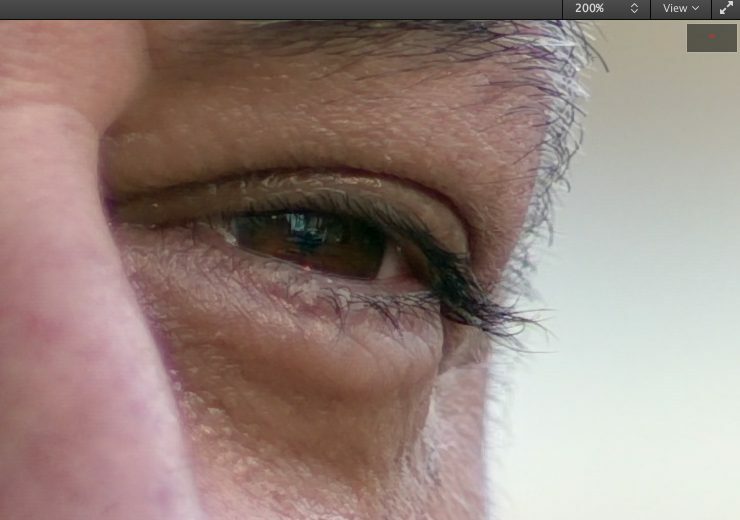 This first look is more to show you that the camera is actually working and give us all a glimpse of what it can do. 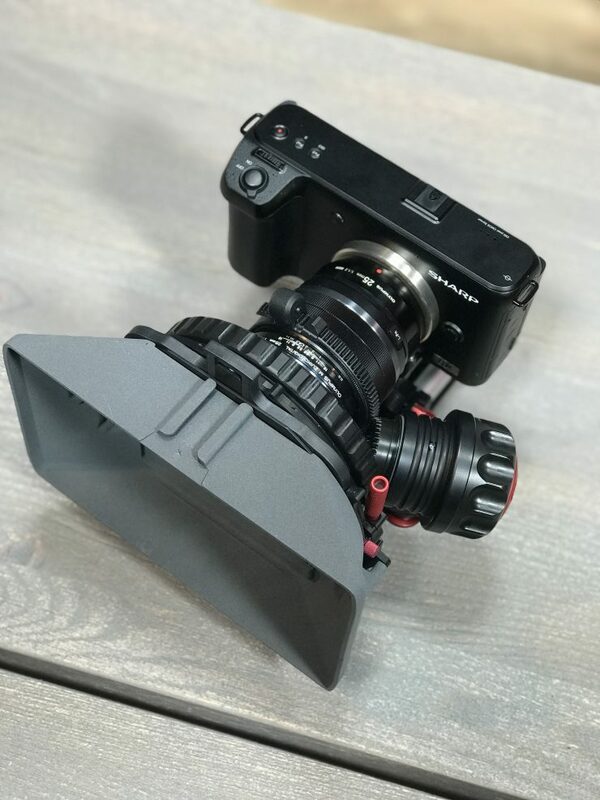 In a lot of ways the camera resembles a BMPCC 4K, but with a flip out screen. The camera is very minimalistic in its design, with very few physical buttons or dials. 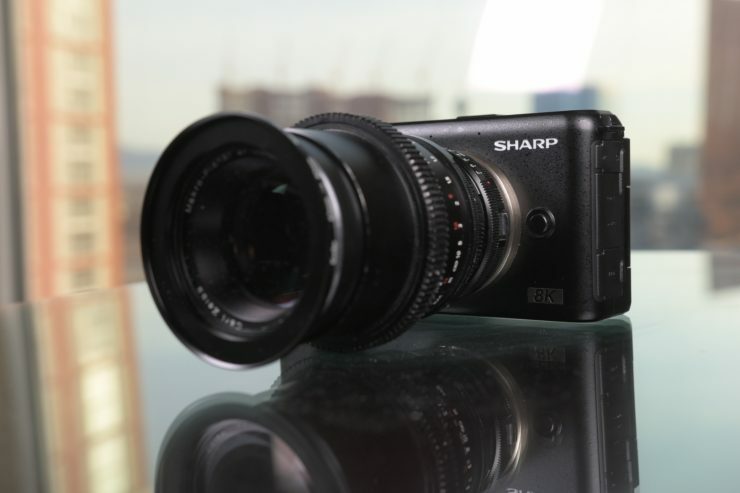 Sharp told us that they wanted to create a camera that was very easy to use and operate, aimed at Vloggers and YouTubers. 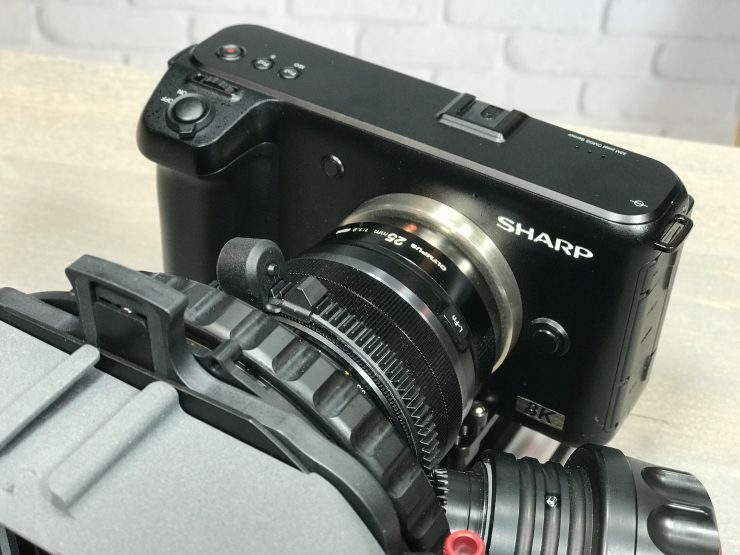 We also had the chance to talk to Sharp about how they think users will deal with footage from the camera – a proxy workflow is going to be a necessity, at least until computers catch up with the demands of highly compressed 8K footage. 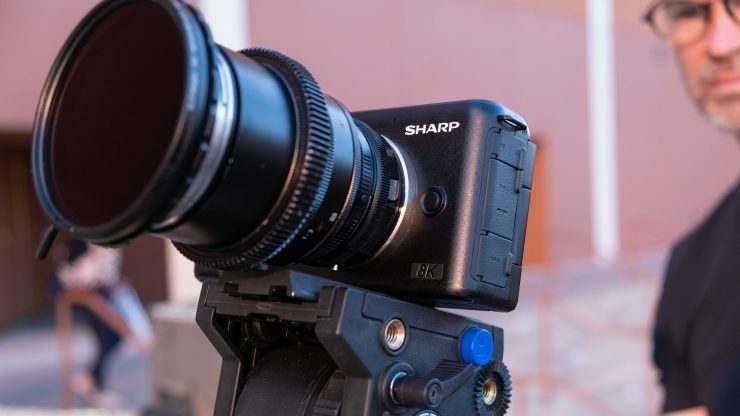 The Sharp 8K camera is quite a lot larger than most mirrorless cameras. Not only is it a lot wider, but it is also heavier. 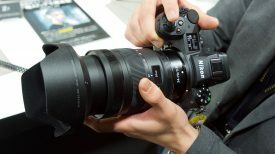 We estimated that the camera weighs about 50% more than the Nikon Z6 body which weighs in at 1.29 lb / 585g. The camera is capable of recording 8K (7680×4320) at up to 30fps using H.265 compression. The bitrate for 30p 8K recording is 200Mbps. White Balance is fully auto only – again this will be tuneable in the production versions of the camera. What sensor is it using? 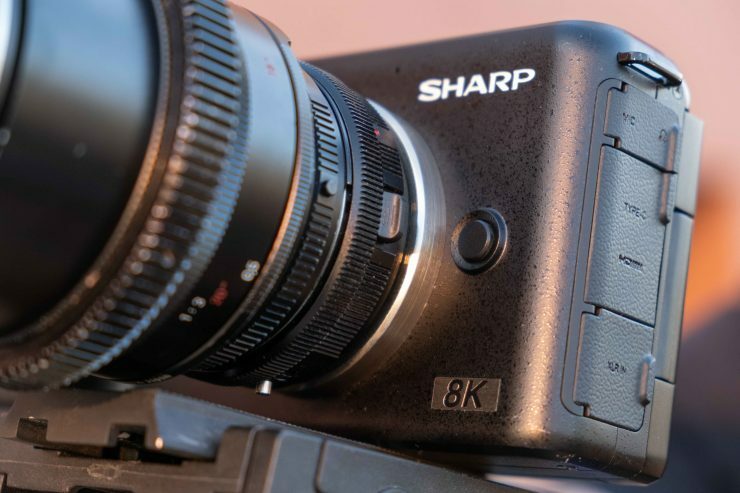 Sharp won’t publicly say just what sensor the 8K camera is using, and the assumption was that it could be the same or similar sensor that the BMPCC 4K, Panasonic GH5s, and Z Cam E2 use, but with Quad Bayer unlocked to enable it to output 8K. By using a stacked sensor you can squeeze a lot of MP onto its surface, but the tradeoff is that you end up with relatively small pixels. Quad Bayer is an interesting concept. By putting the small pixels into groups and then arranging the groups in a Bayer pattern it means that the pixels within those groups can be used in different ways. 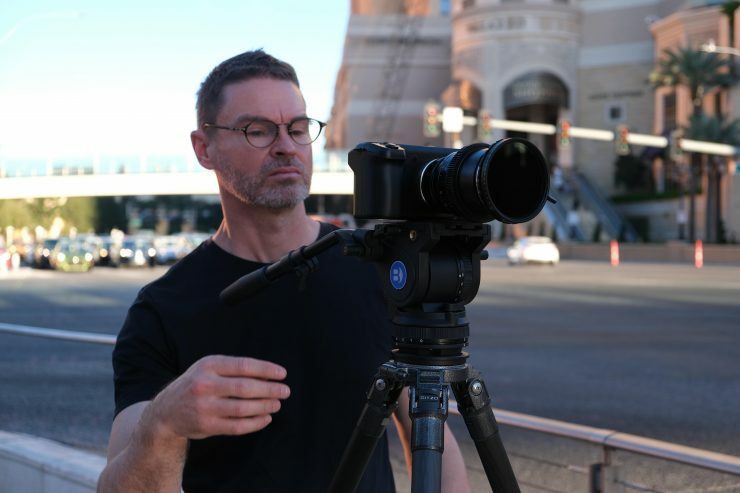 They can be used individually to create extra resolution, or summed within the group to produce better low light images, or read at different gain levels to capture higher dynamic range pictures. 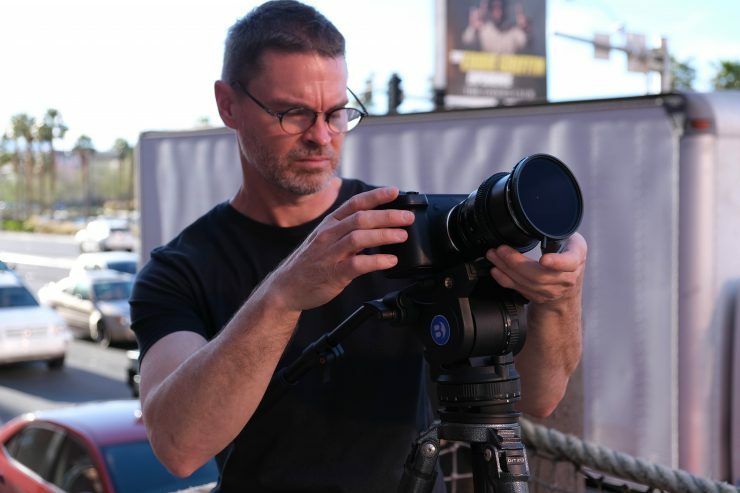 The MFT lens mount makes the Sharp camera very flexible in terms of the lenses it can mount. 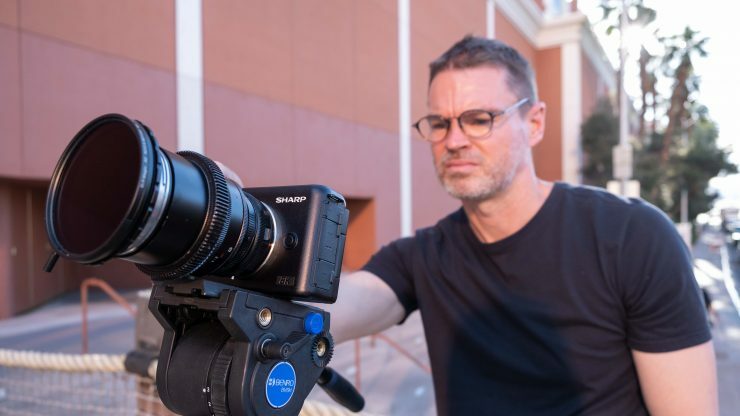 The sensor being used in the camera is not a Quad Bayer sensor, and is in fact a real 8K sensor. 8K on a MFT sensor is certainly asking a lot of the lens though! What I/O does it have? 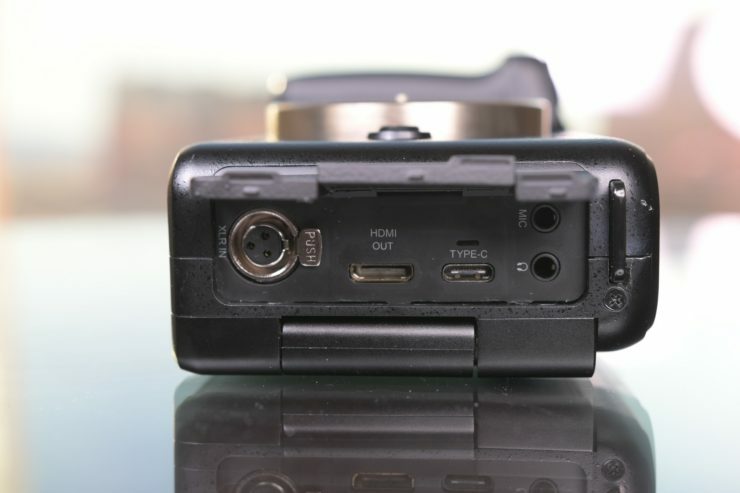 The camera features a Mini XLR port, full-size HDMI (not here on this pre-production version), USB-C, headphone, and a microphone jack. 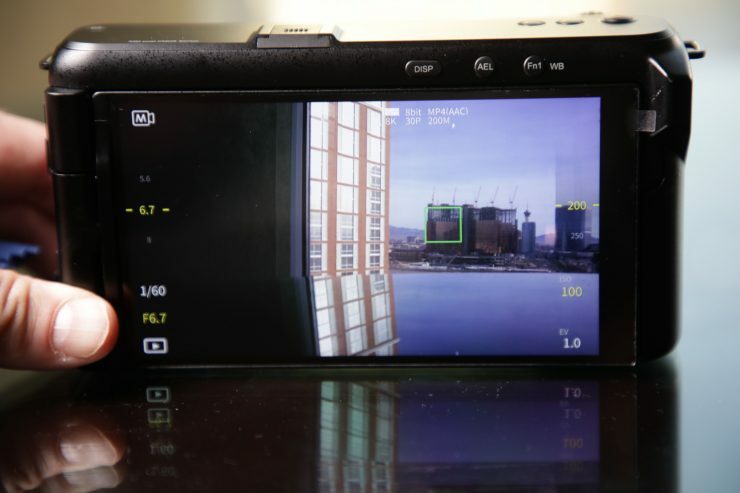 The camera has a reasonably large 5.5″ touch screen. The screen is good quality and fairly easy to see details in. It’s a little glossy but it was still surprisingly good in bright conditions. 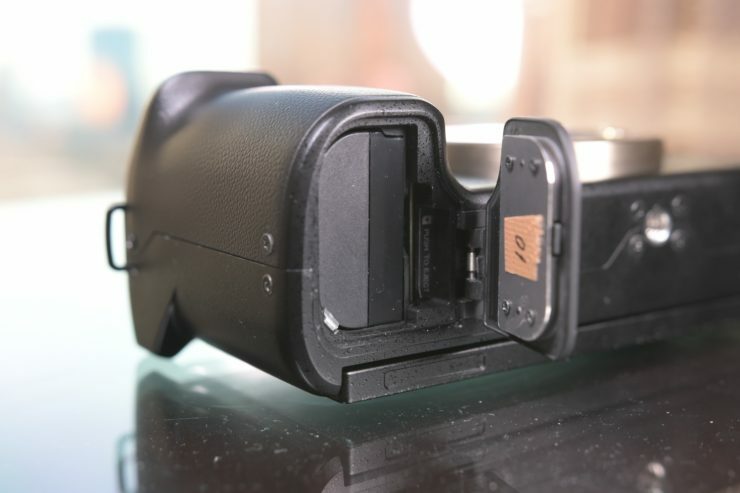 The camera features a Micro Four Thirds mount, so it is compatible with a lot of glass that is already available. Through the use of lens adapters and speed boosters, you can put just about any lens you can think of on this camera. The biggest issue that I can see is that you are really going to be pushing the capabilities of a lens trying to resolve 8K on a MFT sensor. 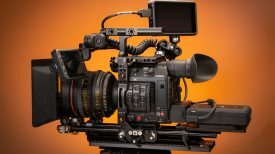 You would expect that any 8K camera is going to require some fairly fast recording media and is going to fill up that media very quickly. Surprisingly, the 8K Sharp camera can record to readily available SDXC UHS-I U3 speed class 10 cards. A 64GB SD card will record around 30 minutes of 8K 30p material. Files are currently recorded to 4:2:0 8bit in a .mp4 wrapper. Eventually the camera will be able to record in 4:2:0 10bit internally. Sharp hopes that the camera will eventually have 4:2:2 10bit out over the (full size) HDMI port. Currently the HDMI port is only outputting 8K. 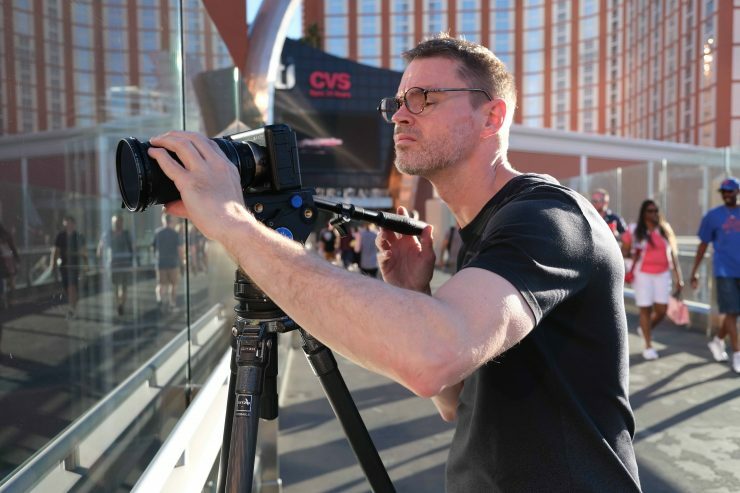 We tried feeding a Ninja V and a SmallHD 502 and neither of them recognised the signal; Sharp were however able to feed an 8K screen on the NAB show floor straight from the camera, via a single HDMI cable. The version we were using currently only shoots in 30p, however the final versions of the camera should be able to record in 24p and 25p as well. The camera will also eventually be able to record in 4K up to 60p. Like any new camera there is a learning curve. However despite not even having a menu yet the camera was relatively easy to use – all of the controls were touchscreen-based as none of the physical buttons were working yet. 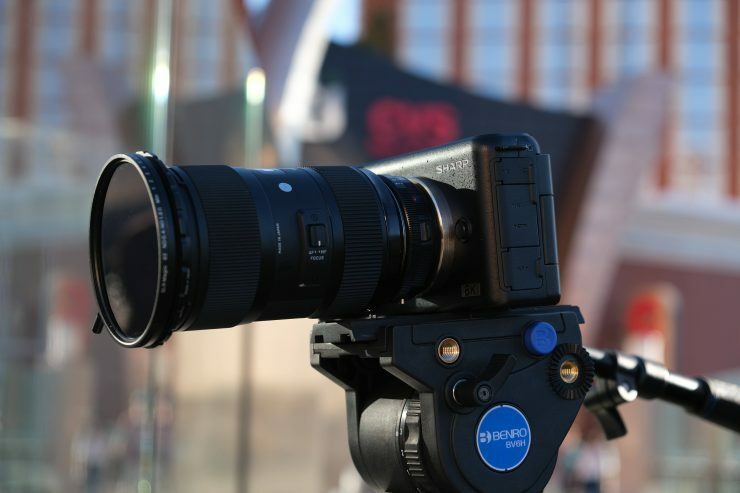 The camera is nice and lightweight, the screen is fairly easy to see, and the MFT mount is pretty adaptable. 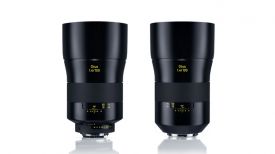 We used a Metabones Nikon to MFT Speed Booster Ultra 0.71x with a Sigma 18-35 f/1.8 and a Zeiss ZF.2 100m f/2 Macro. The main issue we had is that it’s hard to judge focus in 8K on the screen without proper focus assist tools. I think once they’re implemented into the camera, given the quality of the screen it will be much easier to judge critical focus. What does the footage look like? I’m not going to jump to any conclusions about the image quality. The camera we were using is one of the first working versions that has been built. Sharp clearly still have a lot of work to do with this camera, but my initial impressions of the camera were mostly positive. Here is a link for you to download some original files from the camera. Bear in mind this is highly compressed 8K footage so you’ll need a fast computer to view in realtime. 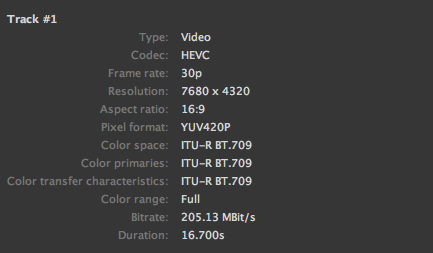 On a 2012 Macbook Pro we were seeing playback speeds of around 1fps! Battery life seemed reasonable considering how much work the camera was doing. We found a Canon LP-E6 battery would last between 45 minutes and an hour. Sharp told us that the battery system hasn’t been optimised yet and that the final versions should see improved run times. An 8K camera with a Micro Four Thirds sensor is going to have pretty tiny pixels, so how does it perform in low light shooting conditions? Look, it’s not a low light monster. We found that images looked nice and clean at lower ISO levels. Once you go over about 2000 ISO you do start to see noise. By around 5000 ISO you start to see very bad fixed pattern noise. Sharp warned me not to expect great dynamic range out of the camera. 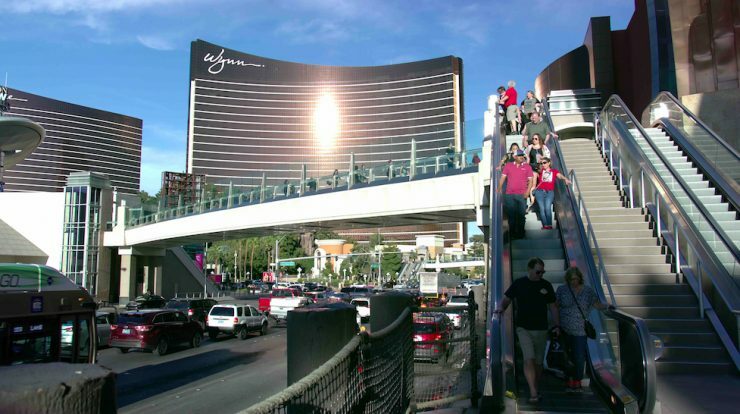 It’s estimated that the dynamic range is around 12 stops. From using the camera this claim seemed reasonable, bearing in mind the hardware is at a very early stage. Despite the camera only currently shooting in a REC.709 color space I was reasonably happy with the amount of dynamic range that it has, and for most normal shooting conditions I think there is enough. Currently there isn’t one! We have no idea what it’s going to look like or what you’ll be able to adjust. It was still possible to use the camera just on the touchscreen alone, however. 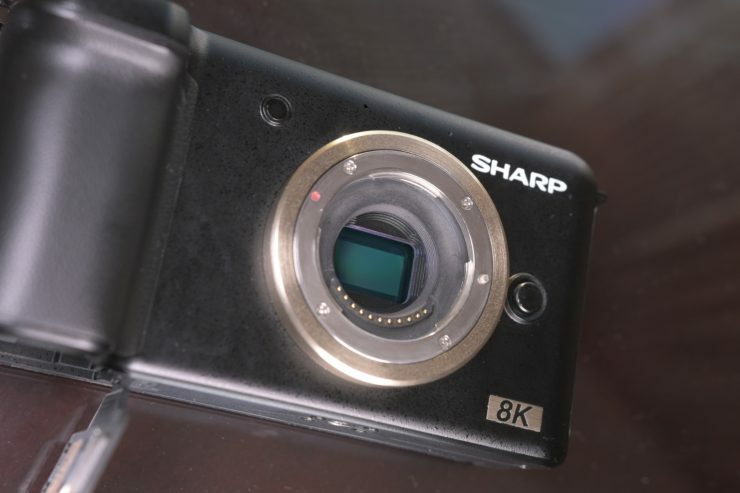 Sharp told us that a lot of development has gone into this camera due to the large amount of processing power required for 8K, and they have had to work hard on dispersing the heat that is being generated. 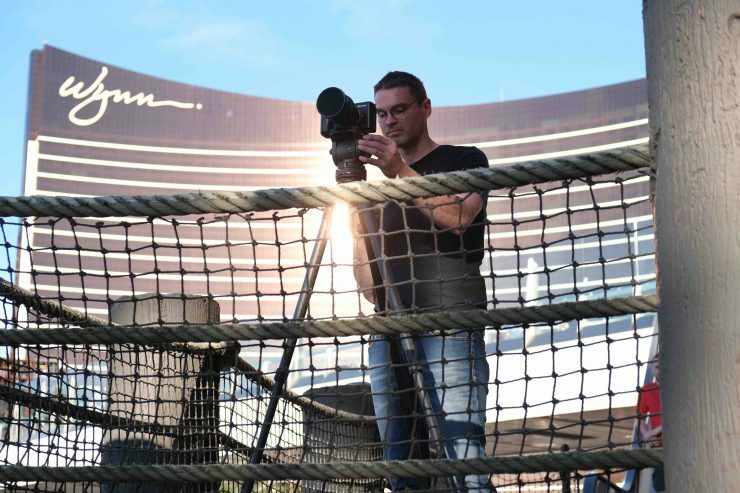 We didn’t encounter any overheating problems when using the camera and it didn’t seem to produce more heat than any other mirrorless camera that I have used. This is the biggest stumbling block that the camera needs to overcome. Dealing with the footage from this camera is not easy. We couldn’t read or see the files in FCPX or Premiere. 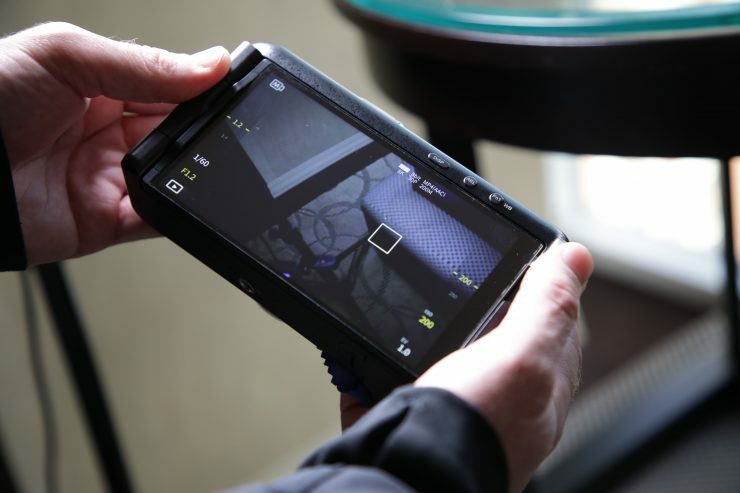 We had to use Kyno to view the footage and from there we could transcode it into ProRes files. 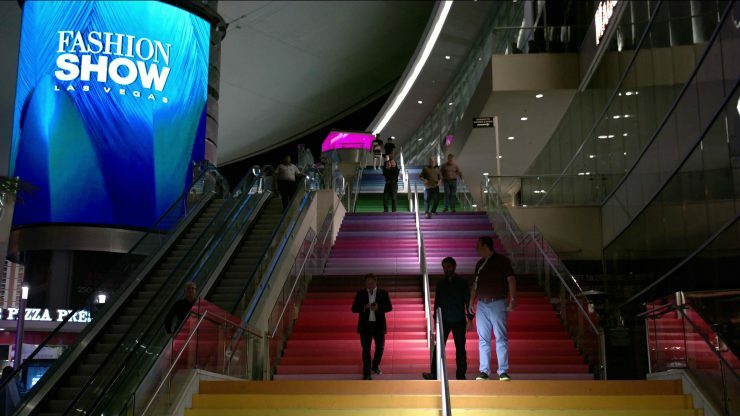 Sharp is going to be showing a proxy workflow for the camera at NAB. This is an important step: if the workflow is too complicated then people will be reluctant to purchase this camera. 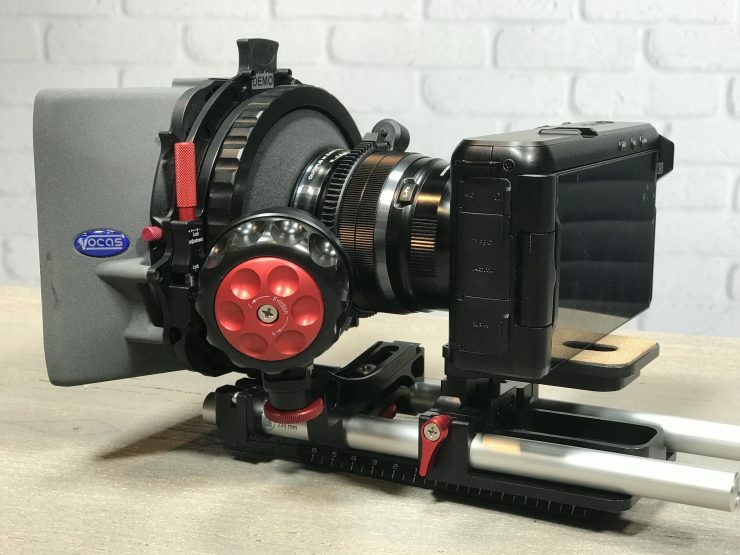 Given the target audience for this camera, you have to wonder if the workflow that you going to have to use will be the camera’s achilles heel. It’s too hard to judge a camera from using a very early prototype, and it would be irresponsible to jump to conclusions. In saying that, I think the camera certainly has potential. I do think that everyone needs to understand that just because a product has 8K written on it, that doesn’t mean its suddenly going to be some sort of magical device. 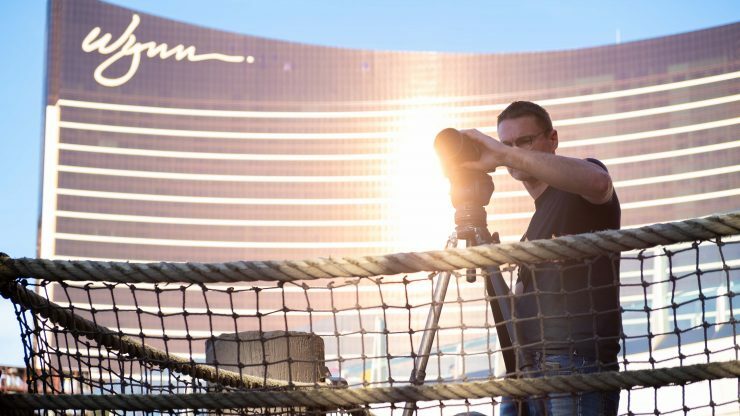 Resolution is just resolution and it is far from being the most important aspect of a camera. There are many factors that go into determining what makes a good camera, and resolution is just one small facet. 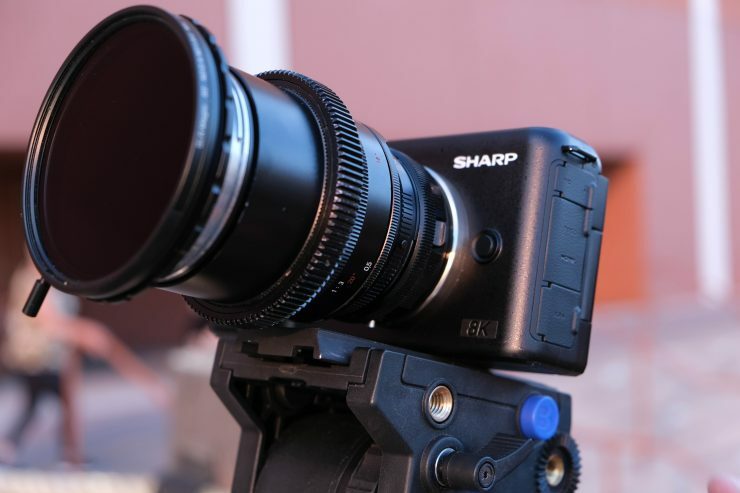 Regardless of how the camera is actually perceived or whether it becomes a succesful product or not, you have to applaud Sharp for what they have done. 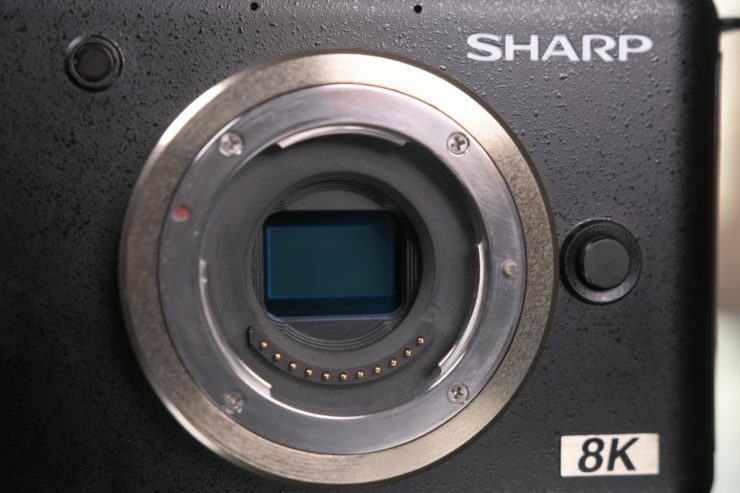 I don’t think anyone ever thought that the first Prosumer 8K camera would have come from Sharp. 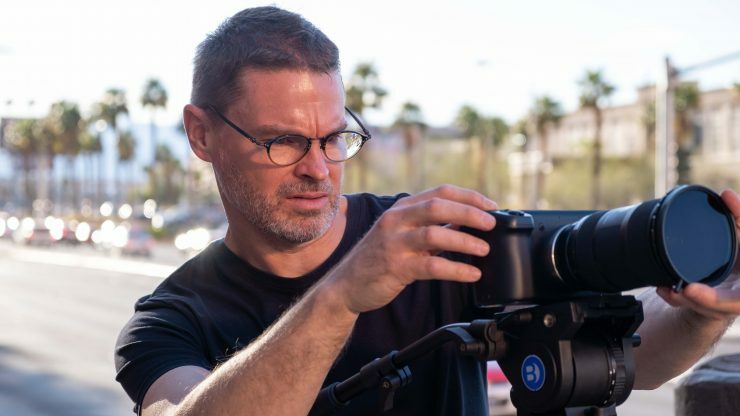 Making any camera, especially an 8K camera, is no easy task. The camera really is a tradeoff between resolution, dynamic range and low light performance, prioritising resolution above anything else. In a lot of ways, I think this is more of a concept camera than anything else. Like anything new that is the first generation, there is going to be a steep learning curve. 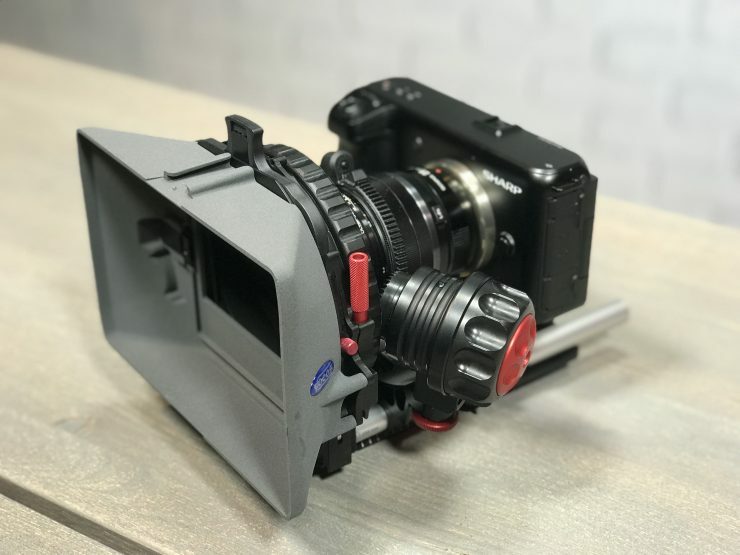 If you look at companies like Kinefinity, and even Blackmagic, their first cameras were far from great, and it took quite a few years before they started to get it right. 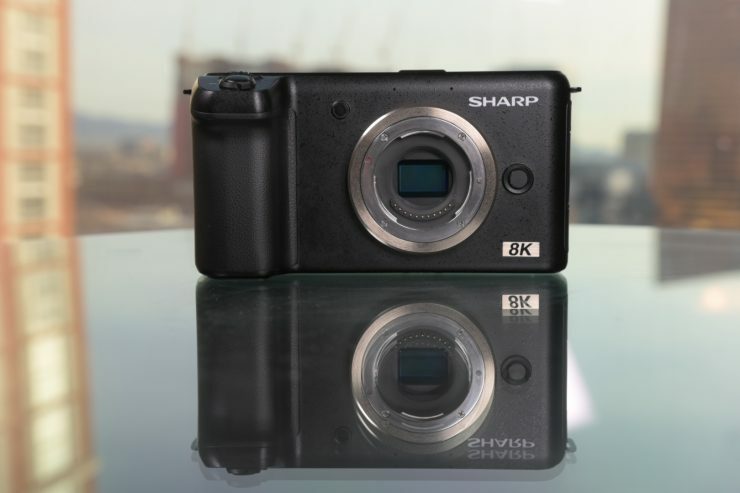 While this isn’t Sharp’s first camera, it is their first time making a camera in this form factor. 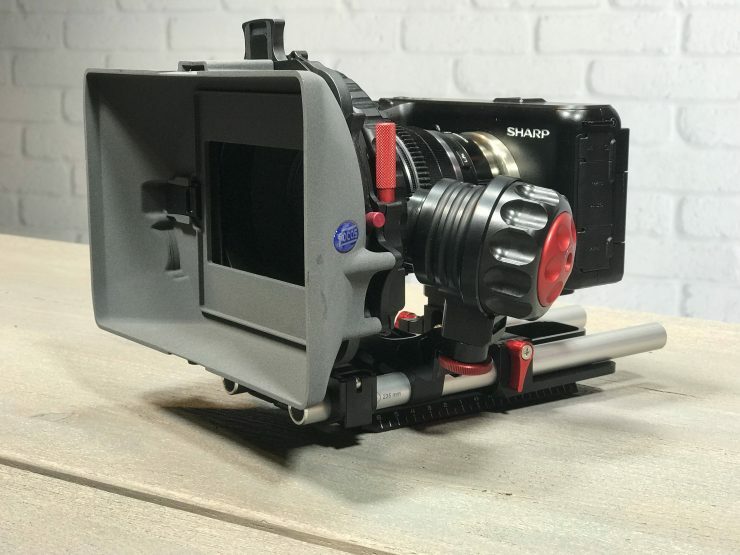 The Sharp 8K camera is more of a glimpse into what we should expect to see from other camera manafacturers over the next few years than anything else. 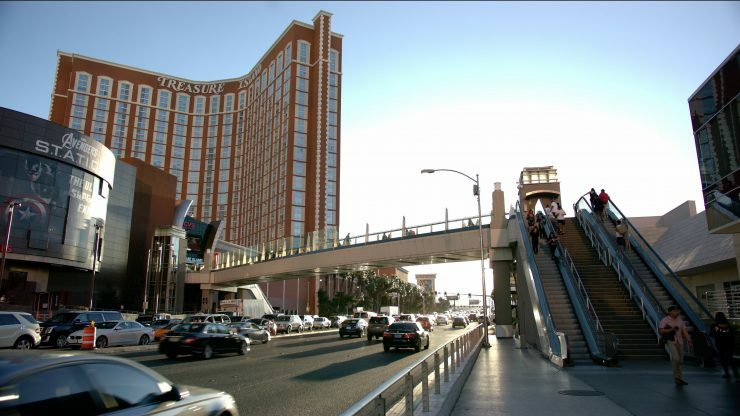 It’s a proof of concept that shows consumers what is possible. 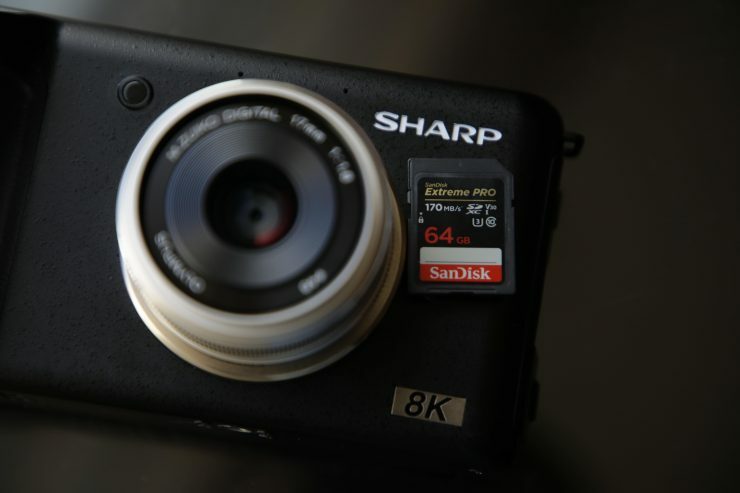 What do you think about the Sharp 8K camera? Would you ever consider it? Let us know your thoughts in the comments section below. If you want to know any more about the camera let us know and we will attempt to find out.